The innermost part of your tooth is a chamber known as the pulp, which houses the tooth’s nerves, blood vessels, and other vital soft tissues. The pulp and its tissues are connected to the tooth’s root canal, which carries the blood vessels into the jawbone and acts as a path for nutrients between the bone and your tooth. When the pulp and/or root canal become infected or damaged, the pain can be intense, and your risk of severe dental infection and possible tooth loss are drastically increased. Root canal treatment is performed on a tooth’s pulp, and in some cases, the procedure may be your last option for saving a tooth before it needs to be extracted. Internal infection, or tooth decay, is the most common reason for needing root canal treatment. If you don’t treat a cavity soon enough, then the bacterial decay can spread through the tooth’s dentin and into the pulp chamber. As they infect the pulp tissues, oral bacteria can eventually spread through the root canal and into the surrounding jawbone, spreading the infection beyond the tooth. If your tooth sustains structural damage, like a crack, fracture, or break, then the pulp tissues may become immediately exposed to oral bacteria. 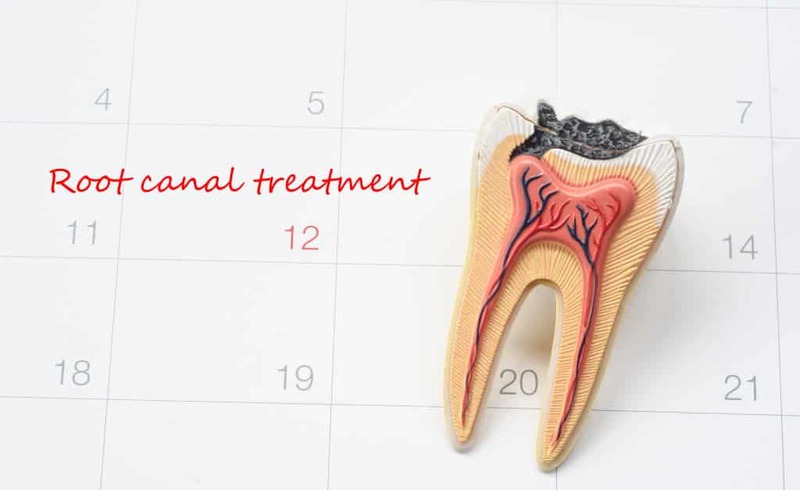 In such cases, root canal treatment may be necessary to remove the vulnerable tissues, prevent infection, and restore the tooth’s health and function. Despite many unfounded fears about root canal treatment, the procedure is significantly simpler and more comfortable than many patients realize. Before you begin, your dentist will anesthetize the tooth and its surrounding area to minimize discomfort. If you are anxious about the procedure, they may also recommend dental sedation to calm your nerves and help you remain tranquil. Once the tooth is numb, your dentist will carefully access the interior of the tooth to clean away all traces of oral bacteria and infected tissues. Then, your tooth’s pulp and root canal will be sealed using biocompatible gutta percha – a safe, effective, and durable material that strengthens the root canal while sealing it off from oral bacteria in the future. After the pulp and root canal have been cleaned and sanitized, your dentist will restore the damage to your tooth’s structure by filling the cavity with an appropriate dental filling material. For further protection, they may also recommend placing a dental crown over the treated tooth to reestablish its strength and integrity. Call Austin General Dentistry Today! Drs. Ryan and Lauren Loveless and Dr. Tom Hassell, all graduates of the University of Texas Dental Branch in Houston, Texas, take pride in delivering high-quality, family-based dental care to patients of all ages. At Austin General Dentistry, our goal is to create a comfortable, welcoming environment so you can enjoy your visits. We’re dedicated to providing advanced dental technology and techniques that make your treatment easier and more effective. To schedule a consultation, call our office in Austin, TX, today at 512-346-5540.